When the time came to sell her property, Stephanie Jackson had high hopes that the land could be conserved. 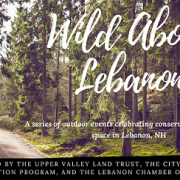 She approached the Upper Valley Land Trust to see what her options were, and UVLT consulted Lebanonâ€™s Conservation Commission. UVLT worked with the Jacksons, their realtor, and the Lebanon Planning Dept. to work out the details of the purchase. The Lebanon Conservation Commission contributed the necessary purchase and conservation funds from the Lebanon Open Space Trust (LOST) Fund and the Lebanon City Council voted to accept the property and grant the conservation easement to UVLT. On Tuesday, November 23rd, after the Tâ€™s are crossed and the Iâ€™s are dotted, over fifteen acres of land, within walking distance from Colburn Park in downtown Lebanon, will be conserved. The land will be owned by the City and managed by the Conservation Commission, with the easement held by UVLT. The land will be protected from further development, but continue to be available for public enjoyment. During their ownership, the Jackson siblings, Stephanie and Gordon, have welcomed the public on existing trails within the forest. There is a well-defined path up the hill from Bank Street and Forest Avenue. The trail is just a quarter of a mile long, but provides users with a respite from urban life. Its location along the eastern edge of Lebanon Center makes it easily accessible to the many residents who live nearby, and who may not have easy access to other natural areas. When the Jacksons were children, the fields were grazed by goats. Today, these fields remain open and include a sizeable patch of blueberries. The area was once a large garden and itâ€™s possible that this space could be used to produce food in the future. 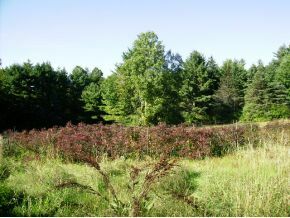 The undeveloped land also provides benefits for water quality and wildlife habitat. Conservation Commission members have noted signs of fox, fisher, deer and many birds. 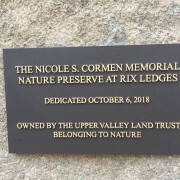 This property, while offering natural habitat to many wildlife species, may also serve as a forested corridor for species traveling northward during migrations. This is critically important since development of land often destroys much of its value for wildlife. The public is welcome to an official paper-signing ceremony at the Lebanon Opera House on November 23rd at 1 PM. The signing will be followed by light refreshments. This transaction was reported in the Valley News.